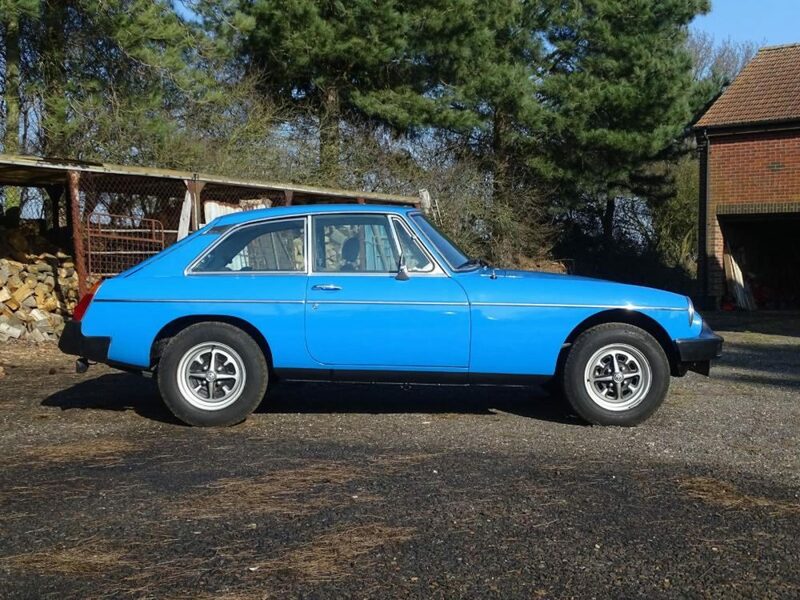 Thirty-seven years ago this end-of-line rubber bumper MGB GT, chassis GVGEJ1AG517027, was bought new from Roger Bennington of the Stratton Motor Company, now a well-known classic car dealer. 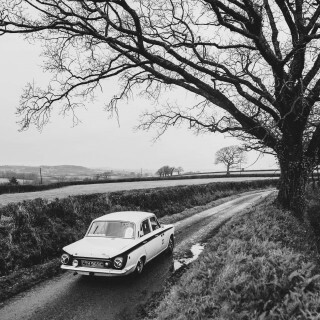 The owners remembers it because he insisted that the renowned Norfolk dealership underseal the MG. Roger Bennington remembers it because it was paid for in cash. 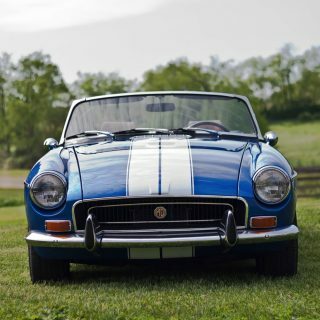 By that point the MGB had already been out of production for over a year; the chassis number shows that this car had been one of the last 6000 made in 1980, but not registered until 1982. 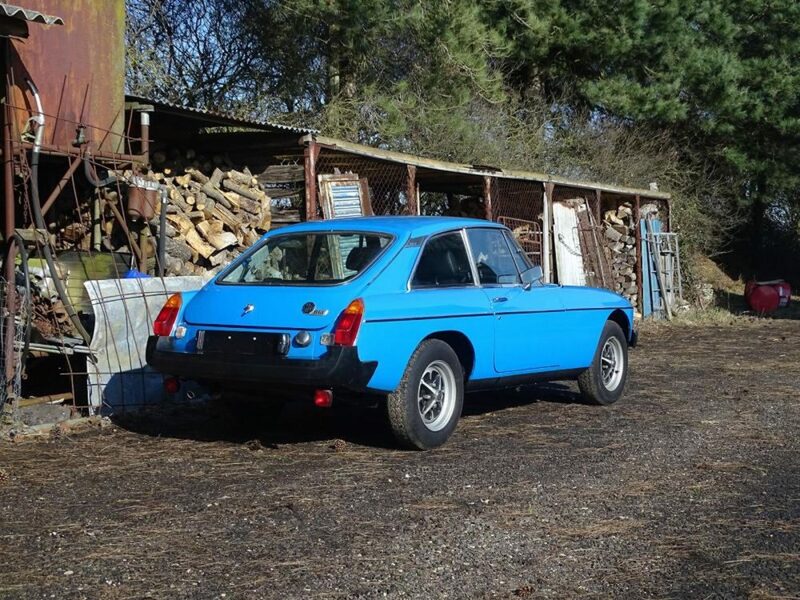 The MGB was delivered to the owner’s home, and put away in a wood shed showing 106 miles. 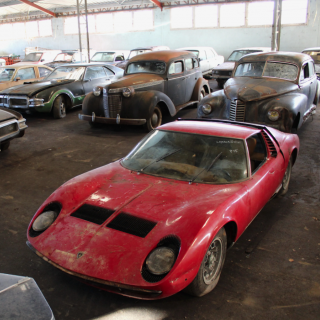 It’s been dry-stored there ever since, still with the same owner, never driven. 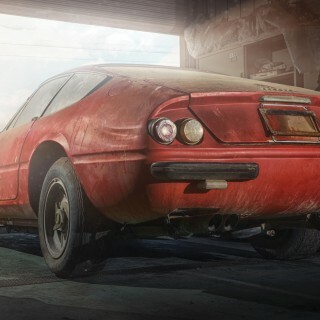 It was issued with the registration number VEX 44X but the Stratton Motor Company-branded plates have yet to be fitted. In fact, they’ve never even been drilled ready to be fitted. 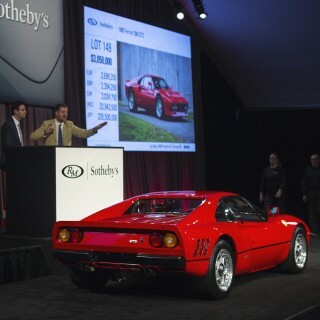 The B GT still has its factory markings on the underside of its rear seat (198 GT) and bonnet (027) and a Leyland sticker to the back of its differential. The spare wheel and tool kit remain in place, and there’s an unused radio fitting kit. The spare key is still fixed to the bulkhead. 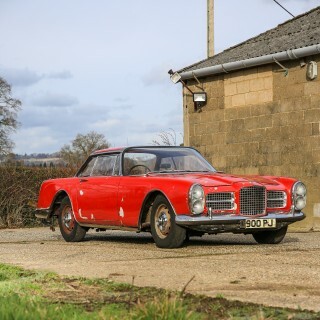 The owner says a deep clean and recommissioning would bring it back to showroom standards, but that will be for the next owner, because it goes up for sale with H&H Classics in Duxford, Cambridgeshire, on March 20, estimated at £11,000 to £13,000. 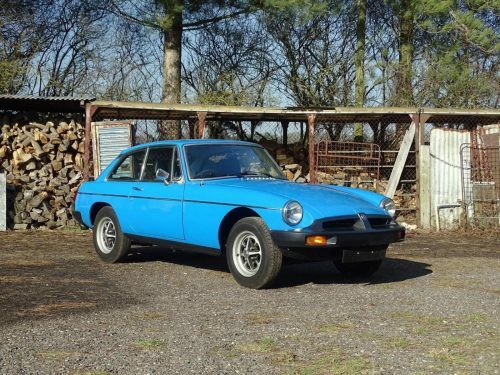 That seems like a great price for an unused MGB. Does it seem that the body is sitting rather high? Maybe the tires/wheels? That is original. For the same reason the rubber-bumpers exist: US-laws. The bumpers needed to be at a certain minimal distance from the ground. Thats why they had to rise the suspension.